Create the integrated ISO file. And then create the bootable CD/DVD/BD. Download the Related Softwares, and extract the ISO files as needed. *a Select "ISO files which supports Live-media-path kernel parameter" when creating the integrated ISO file. *b After waiting, the USB devices may be recognized by a reload operation like pressing F5 key. After some operations, reboot the machine without power off to keep this "Recognizable State". *c The USB devices may not be recognized. *d If the menu screen is left, then it may hang up. But it will not hang up in the "Recognizable State". *e The menu screen may hang up (in the case of the models with BIOS that supports native USB boot?). *f If "configuring console-data" dialog box is left, then it may hang up. But it will not hang up in the "Recognizable State". The parted will be used on "Terminal" window etc. GParted may be used after "dhcp" is selected on "Network config" window. Create the integrated ISO file with XBoot etc. 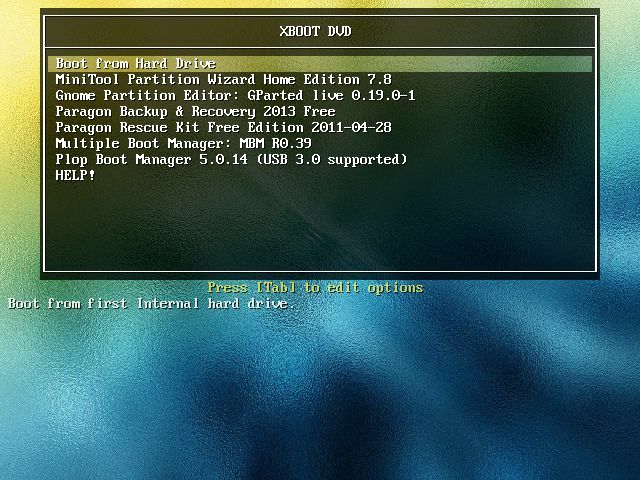 Create the bootable CD/DVD/BD with Roxio Creator LJ for Windows etc.